Globecast Brazzaville: flyaway satellite broadcast for All Africa Games. Paris, September 2015: Globecast, the global solutions provider for media, has announced that it has successfully completed a major project with its customer Lagardère SPORTS to bring comprehensive daily coverage of the 11th All Africa Games to European and African audiences. The 11th All Africa Games took place from September 4–19 in Brazzaville, Republic of the Congo. This edition marked the 50th anniversary of the Games - with over 50 countries involved in 22 sports - as well as their return to the Congo. Globecast was contracted by sports marketing agency Lagardère SPORTS, leader in the management of marketing and audiovisual rights for sports in Europe and Africa. Globecast provided two flyaway antennas in Brazzaville with dedicated satellite capacity for four contribution feeds (equivalent to 300 hours of satellite time) from the country to France. These four feeds were received in Globecast’s Paris headquarters with London operating as backup. 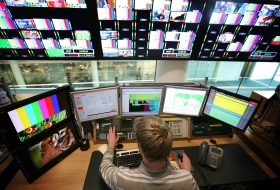 As well as the technical infrastructure, Globecast also took the four feeds arriving in its Parisian MCR and created a comprehensive single package for broadcasters. This included three language variants – Arabic, French and English. This was achieved using dedicated commentary facilities within Globecast with the programme broadcast for six hours per day using three satellite feeds for European and African broadcasters to retransmit. On request, the distribution of additional private (unilateral) signals for European and African broadcasters was also made possible.